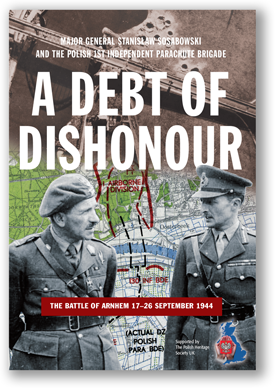 A Debt of Dishonour is dedicated Major General Sosabowski and all ranks who served in the 1st Polish Independent Parachute Brigade Group and to their Comrades-in-Arms of the 1st British Airborne Division that fought in the ill-fated “Operation Market Garden” at Arnhem and Driel during September 1944. — Interview filmed on location in Cornwall, 3 April 2012. 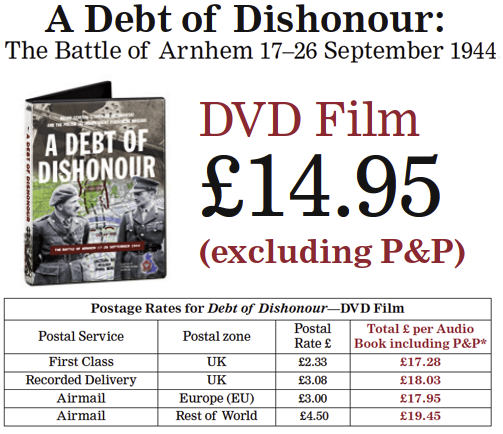 — Reflections on Arnhem, 5-8 August 2012. 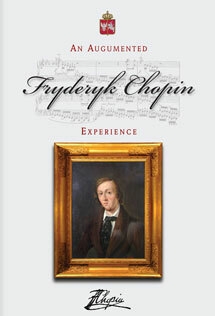 — Filmed on location at the Polish Institute and Sikorski Museum in London, 6 September, 2012. 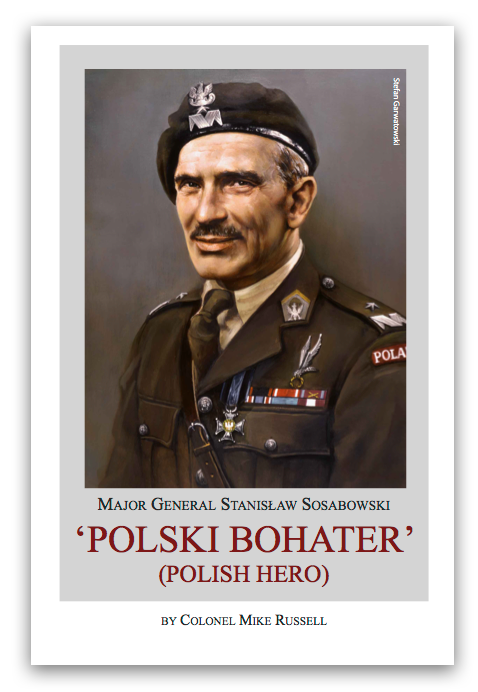 To accompany the film is an illustrated twelve-page booklet Major General Sosabowski “Polski Bohater - Polish Hero” by Colonel Mike Russell, Commander, Aldershot Garrison. "...Sosabowski rose to his feet and spoke in English about the futility of what was being proposed. Dyrda recalls that his General said: ‘For 8 days and nights not only Polish soldiers but the best sons of England are dying there in vain, for no effect'. There was an uncomfortable silence; again, not a word from Browning. Eventually, Horrocks said: 'This conference is over. The orders given by General Thomas are to be carried out.'..."